Magnetized Space brings together a diverse range of works including sculpture, paintings, films, poems, engravings and collages by Lygia Pape. 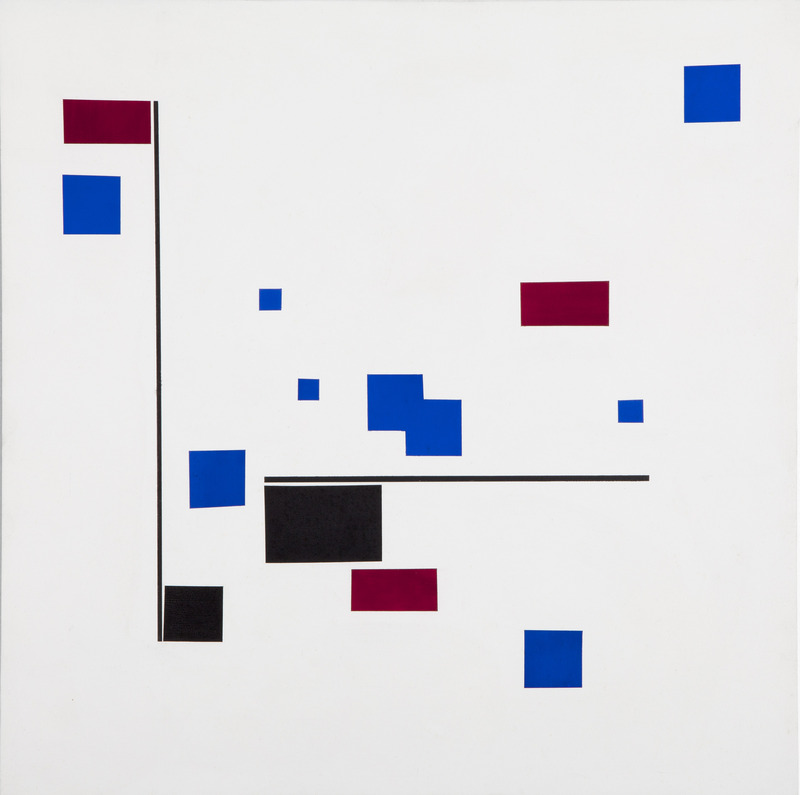 Lygia Pape, Untitled, 1954-56. Image via www.serpentinegallery.org. Branded a forgotten genius, Pape was one of Brazil’s most celebrated artists, and I was excited to see the Serpentine’s new retrospective of her work. I wasn’t previously familiar with her style but I left the exhibition feeling underwhelmed. Pape referred to herself as Neo-Concretist, beginning from a point that her elders had taken a long hard-worn path to reach. Her woodcuts on Japanese paper are surprisingly delicate – lines run across the sheets encountering minimalistic geometric shapes that conjure patterns, dynamism and electricity. There is no doubt that Pape was innovative; the works in the West gallery show influences of American Modernism but, as is so often the case, the dates do not add up. Her works predate those that we think influenced her such as Frank Stella and Agnes Martin. Lygia Pape, Untitled. 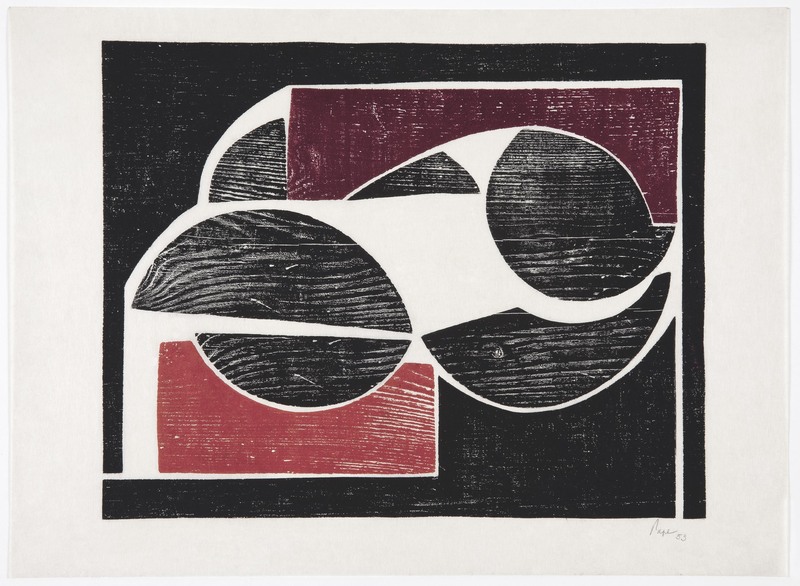 Tecelar (Weavings), woodcut on Japanese paper, 1953. 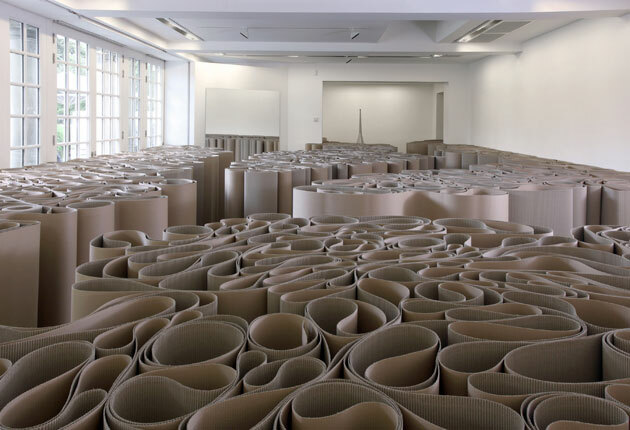 Image via www.serpentinegallery.org. The exhibition opens with a series of video monitors showing works from the sixties. These films do not, however, reflect her normal practice as Pape is known for her non-figurative art. She was the first Brazilian artist to develop art as a network of experimental practices and her work is often so varied that it feels disjointed. 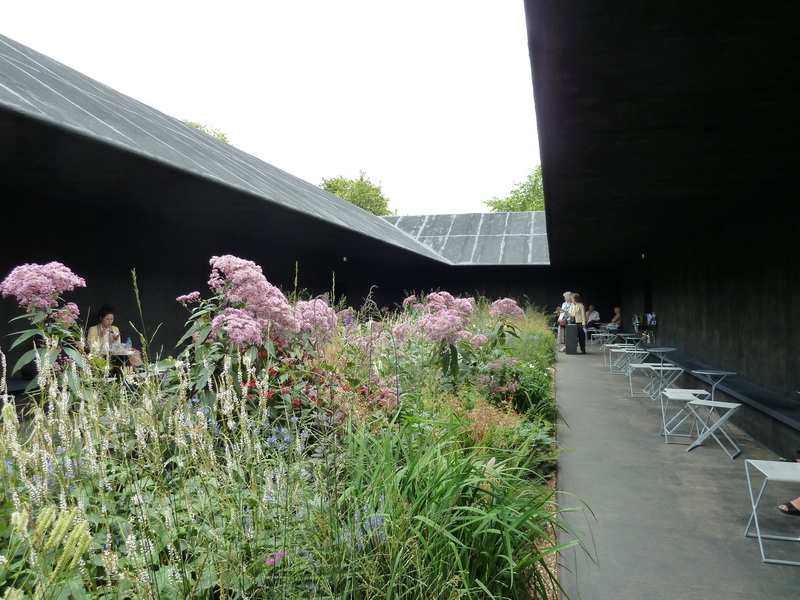 In this way, the Serpentine Gallery spaces lend themselves well to the separation of styles. This diversity shows Pape’s continual investigation and rebellion. 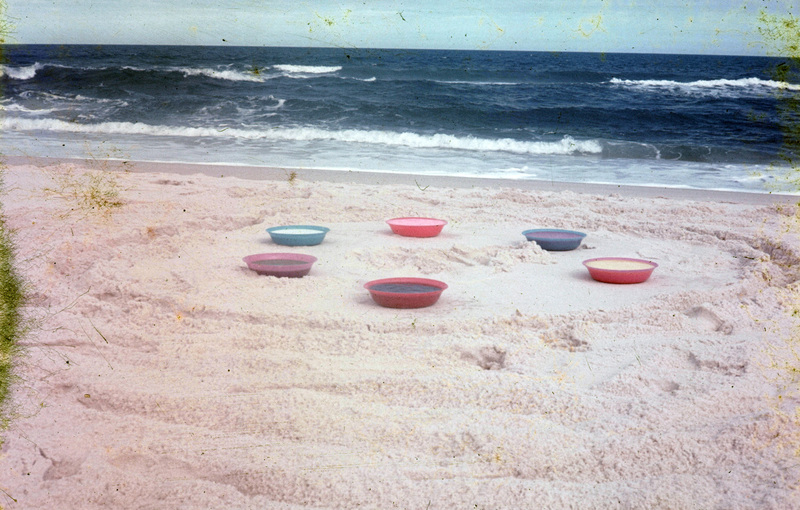 Lygia Pape, Roda dos Prazeres (Wheels of Pleasure), film still, 1968. 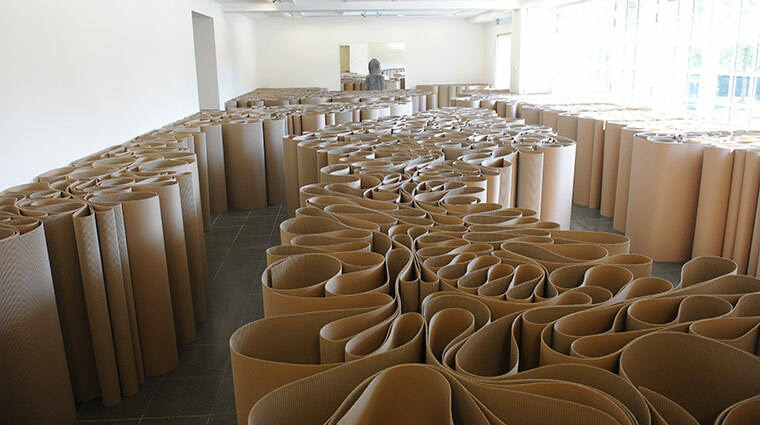 Image via www.serpentinegallery.org. 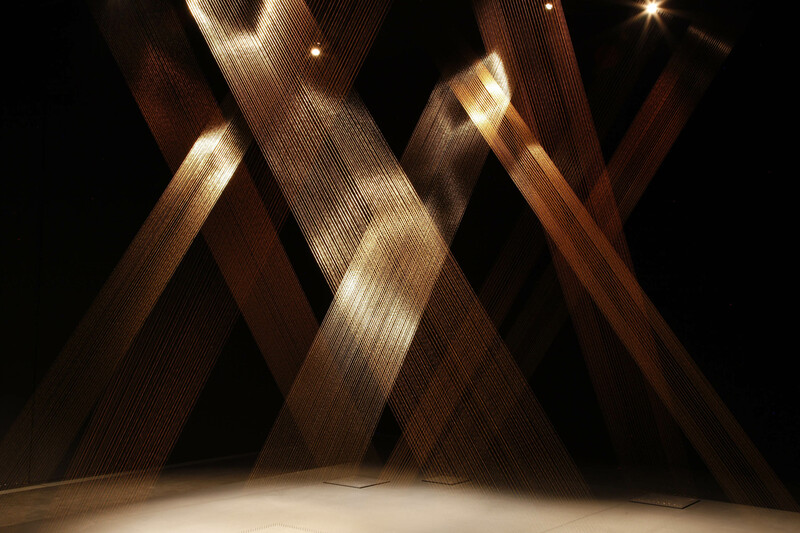 The central piece of the exhibition uses gold threads to suggest columns, turning solid objects into shafts of light through the clever use of lighting. There is nothing else like this on display here – the piece is beautiful, striking and dreamlike. No doubt Tteia will be the work that makes people ooh and aah and remember the show. Lygia Pape, Tteia (Web), 2011. 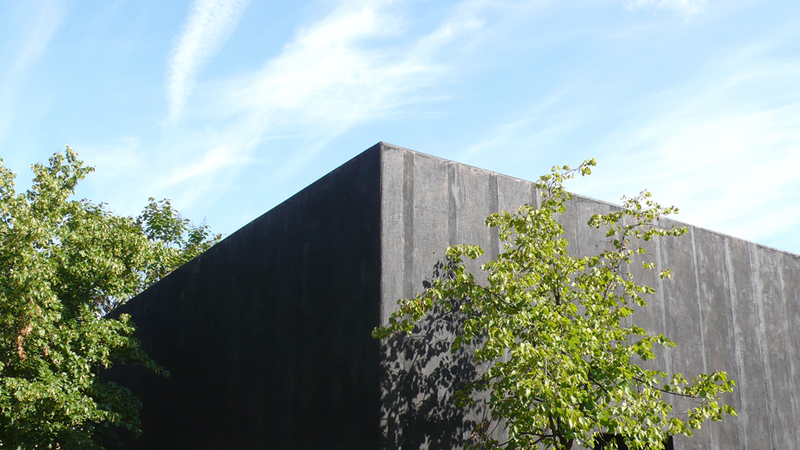 Image courtesy of Jerry Hardman-Jones and via www.serpentinegallery.org. 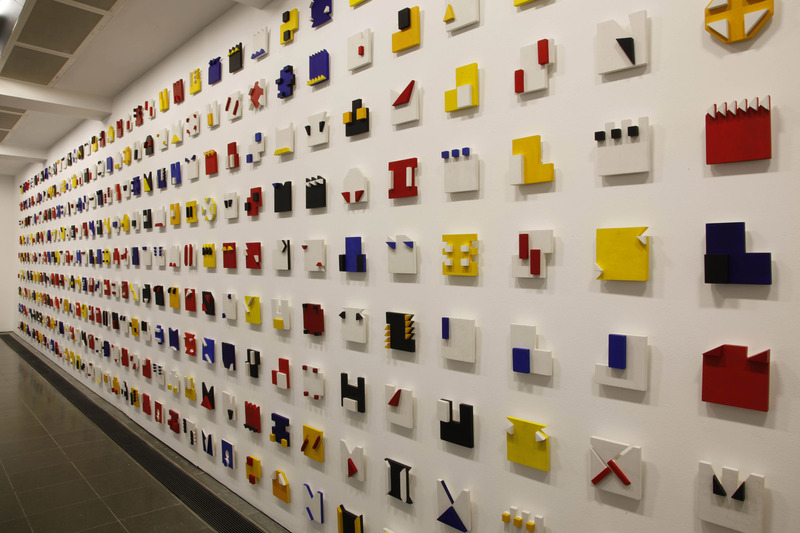 One wall is filled with painted wooden three-dimensional constructions that each represents a day in Pape’s Book of Time. All the days are different in colour, style and size; no day is ever the same. For me, this was the highlight of the exhibition. The wall becomes a rhythmic composition, showing the changing patterns of time that influence all our lives. Lygia Pape, Livro do Tempo (Book of Time), 1961-63. 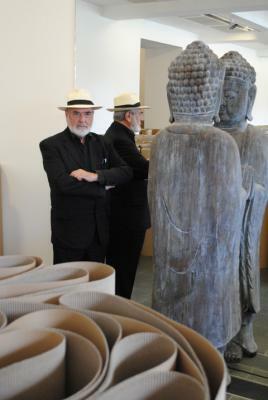 Image courtesy of Jerry Hardman-Jones and via www.serpentinegallery.org. Pape’s works discuss weighty political issues although they are not immediately understood. 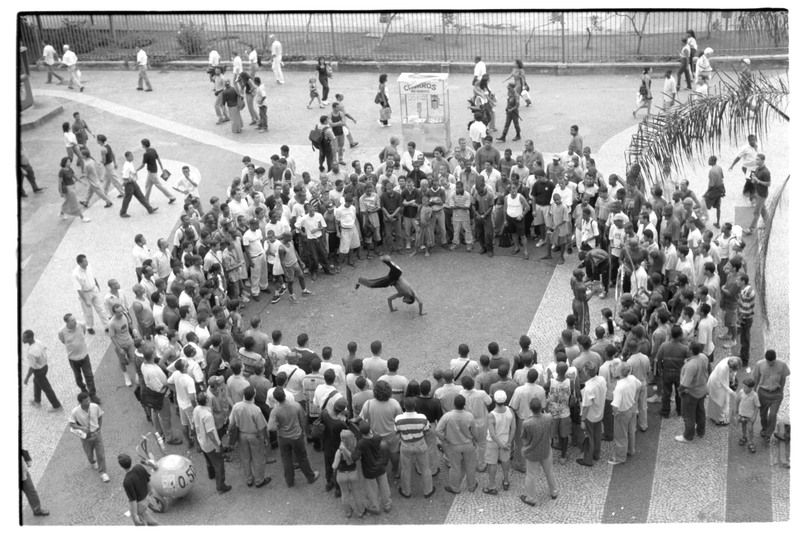 Many were created in response to the political repression that Pape experienced and her pieces span the political and cultural intensity of Brazil. The catalogue essays help to shed some light on Pape’s responses to the grimmest period of Brazilian history, although their density means they take some time to tackle. Apparently, her most explicitly political works have not been included and perhaps the reason I did not enjoy this show is its narrow viewpoint. For those of us who do not know Pape well already, this show does not enlighten us. It is hard to catch the Brazilian spirit that was thought to make her works so alive. The exhibition was first shown in a larger format at the Reina Sofia Museum in Madrid and may have been more effective there. 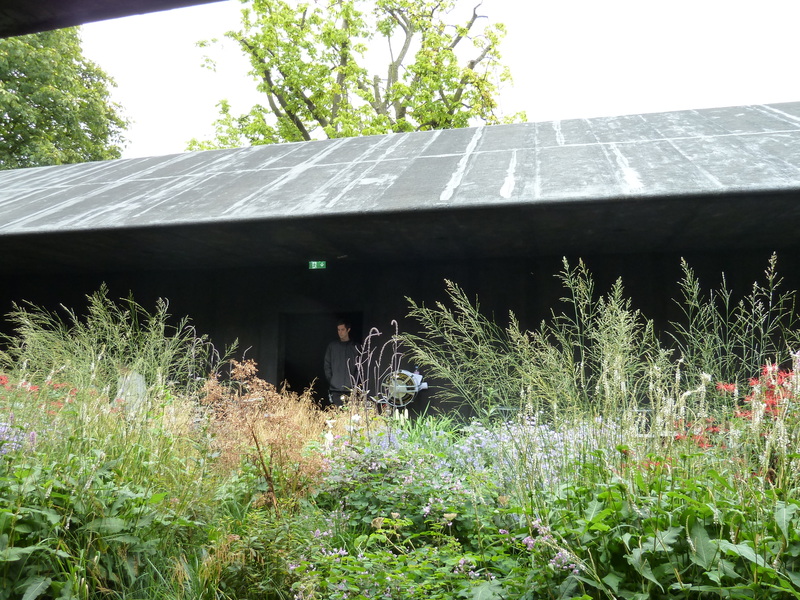 On the other hand, it may have worked better at the Serpentine had they not closed rooms to limit the exhibition space. 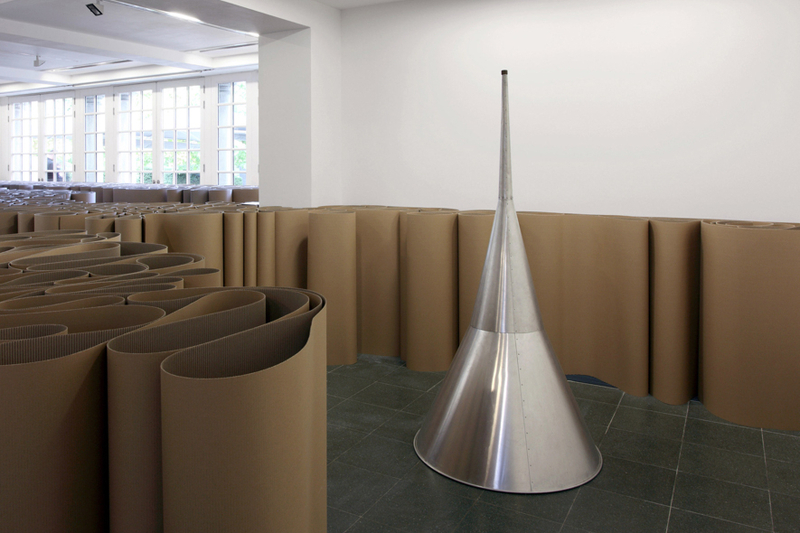 Lygia Pape, Espaços imantados (Magnetized Spaces) 1995/2011. Image via www.serpentinegallery.org. Pape’s works are experimental as she shouted out for freedom rather than conforming. Her multi-faceted practice reflects the turbulent pattern of her life. With so many exciting shows in London at the moment, I didn’t think this was worth the blustery walk through Kensington Gardens. In fact, the only thing that blew me away was the wind. Lygia Pape: Magnetized Space is at the Serpentine Gallery until 19th February 2012, www.serpentinegallery.org.